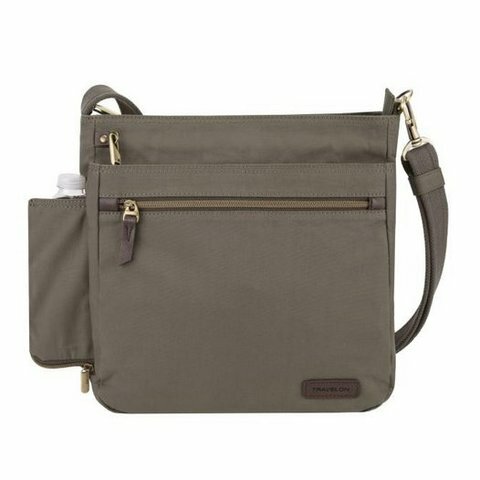 This spacious Anti-Theft Courier N/S Crossbody is as functional as it is fashionable. 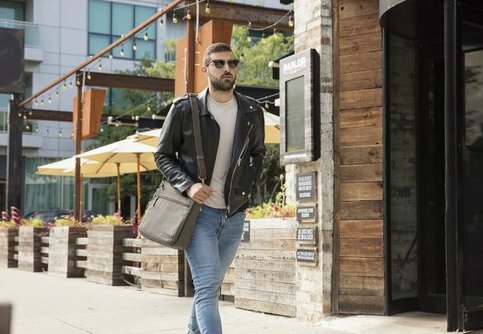 Loaded with Anti-Theft features like an RFID blocking zippered wall pocket, locking zippers, hidden slash resistant stainless steel mesh body panels and stainless steel cable strap that is adjustable and can be secured to a stationary object protecting you from a grab-n-go. 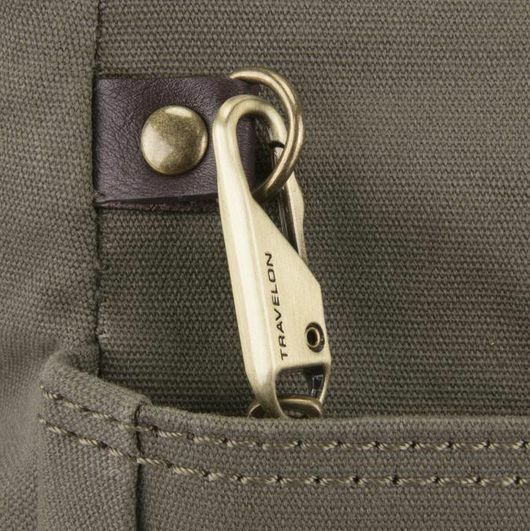 It also has two large, deep zippered front pockets; one locks for added security. The rear zip pocket is large enough to carry an iPad¨ or to keep quick-grab items. 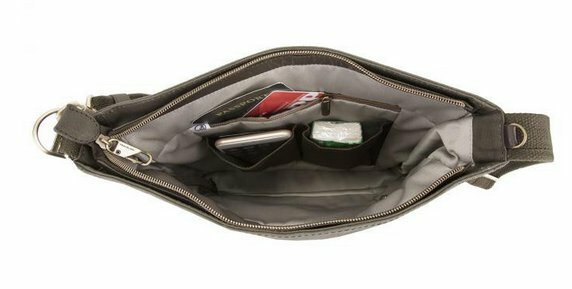 The mesh expansion pocket is great for a water bottle, umbrella, sunblock or sunglasses and zips conveniently away when not in use. 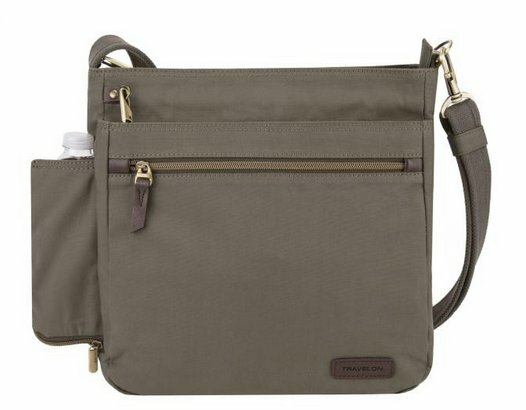 Made with a Cotton/Polyester blend that is water and stain resistant for durability and has a natural feel. 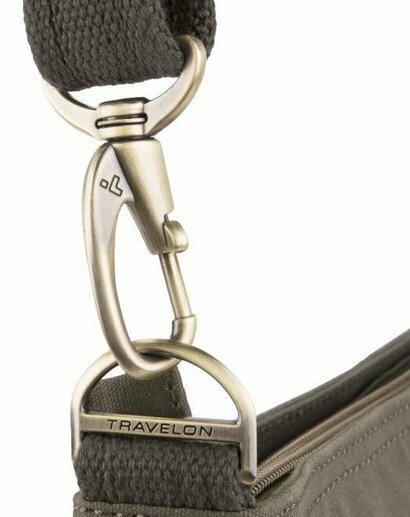 Secure never looked so stylish with genuine leather accents an antique brass finished hardware. 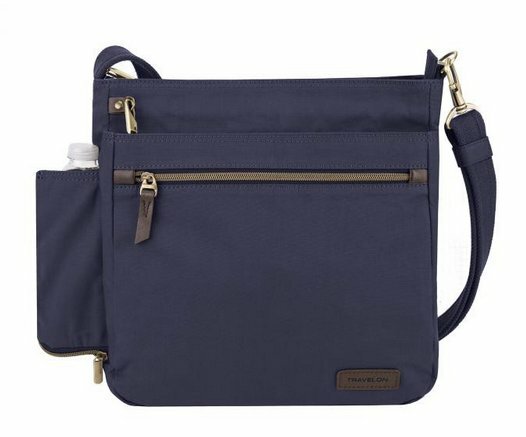 Wear it two ways, over your shoulder or Crossbody. 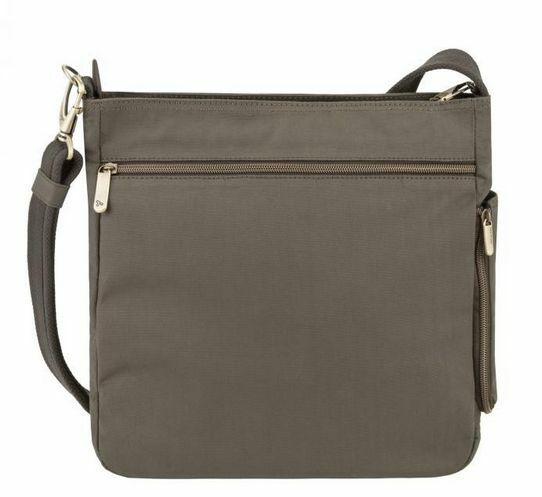 Go anywhere and everywhere with confidence with the Anti-Theft Courier N/S Crossbody.